PRODUCT DESCRIPTION: This product is odorless and easy to use. It comes in many sizes and works on most any pest. Used inside or outside the home, Bifen is long lasting and can even be fogged for mosquito control. Generally mixed at the rate of .33 oz to 1 oz per gallon of water, Bifen will dry invisible to the eye and can safely be applied to plants, turf, carpets and other areas where people and pets will be active. 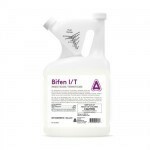 Odorless, easy to mix and long lasting, Bifen is a versatile and good all around product for most any pest. I see a lot of clover mites on my brick (pavers) patio. We can't sit on the sitting wall because you would stain your clothing. Your articles are very informative and I would like to apply a product but am confused as to which one : Bifen IT, or Bifen XTS or the Cyonara. Which product would you recommend? Sorry for the confusion but they are slightly different and here is the best way to determine which to use. If you need to spray inside the home, the Bifen IT would be the one to get. Odorless and designed for use in the home, its a good choice when you need to spray sensitive inside locations and limited outside areas. So based on where you have a problem, I don't think this will be for you though it would work. The Cyonara RTS is for outside use only and with the "ready to spray" container, a convenient option. But it will only cover up to 1/2 acre so if you have a large yard, the Bifen XTS may be better suited. Like Cyonara, the Bifen XTS is for outside use mainly (it can be used inside but because it has a slight odor, we recommend the Bifen IT over the XTS) but it can cover a much larger area making it more economical in the long run. I have lawn moths laying eggs, turning into sod web worms and destroying my st. augustine grass. The majority of moths are in my gardens. Is it safe to spray Bifen on my flowering plants and shrubs? Yes. 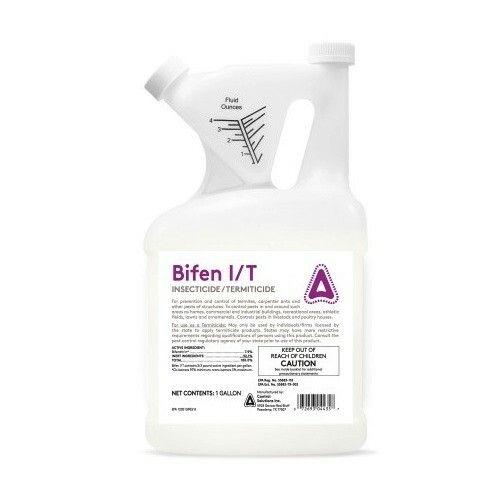 Odorless and safe for use on flowers, shrubs and trees, Bifen is the way to go for this pest. Never had bag worms before. But the last 2 years the have been infesting my cypress tree. What would be the best product to manage and prevent? When should I start using the product to keep them from destroying my tree? I have noticed tree damage mid to late June. If you read our bagworm article, you'll learn larvae get active in the spring. At that time their activity is unnoticeable. But come June and July, their size will have grown and with it, an ever increasing appetite. That would explain why you start noticing damage. But since they're active as early as April, its important to start treating way before the damage is seen. So to answer your question; now would be the time to start spraying. In fact, its already a bit late. But if you get the cypress treated now, along with the ground underneath, you should be able to avoid any major problems. In our article, you'll learn the best treatment is a combination of the Bifen and Spreader Sticker. Apply 1-2 gallons to the cypress and the surrounding trees you'd like to keep protected every 30 days and you'll be fine. Hi all, I think I need a backpack fogger as I have a huge yard. My question relates to the product. I know some professional folks who get paid to come and mist your yard with (allegedly) some kind of essential oil and claim great success. However the size of my yard means I simply have to do it myself due to cost. Any idea what they are using? Most likely the Essentria. We have been selling it for several years and it works well. Not as long lasting as the more traditional products but its what we'd consider as "organic" as you can get and still achieve good results. Combine it with the Mist Blower and you'll get good control of any flying insect problem like mosquitoes, noseeums, gnats, etc. I have a whitefly infestation on my ficus hedges for the past 5 years. I have tried all kind poisons and used professional exterminators both to no aval. What do you recommend? It won't start working for a good 1-2 months but once treated plants absorb the active, its systemic action will stop all feeding pests like whiteflies, aphids, scale and more. Next, for immediate control of the damaging active stages you see now, mix 1 oz of the product on this page (Bifen) with 1 oz of Spreader Sticker to a gallon of water. Spray affected plants and you'll quickly kill all active stages. Do this once a week for 4 weeks straight being sure to cover all affected plants as well as their neighbors (to insure the whiteflies haven't spread). By one months time they problem should be under control because the Dominion should be working its way into the treated plants. So at 4 weeks you can cease treating to see if they come back or to be safe, you can continue to apply Bifen for another 2-3 weeks just to be 100% sure they're gone. I have a spittle bug infestation on my blueberry plants. They've been very destructive. Is Bifen IT safe to use on an edible plant like blueberries? The bugs have almost destroyed half of the blueberry crop by sucking the life out of the stems! Bifen is not labeled for use on food crops like fruits or vegetables. But we have a few options which will work. The following are two; one is better suited for large areas since it hooks to your garden hose. The second is a concentrate you mix with water that can be applied via a good pump sprayer. So if the blueberry patch is large, consider using Cyonara RTS. Labeled for use on edible plants, its odorless and fast working. Treatments should be done once a week until the spittle bugs are gone. The feature of this option is that it hooks to your garden hose which means it uses the power of your garden hose to deliver the spray. This makes treating large areas easy. Now if you have a small area to treat, go with the Multi Purpose Insect Killer. Its approved for organic gardening and will work quickly too. We have a lot of springtails in the back yard and in the front yard what should I spray them with? We also have some coming out of the toilet and bath tub downstairs how do I fix this? If you review our springtail article, you'll learn more about each process but here are some general guidelines. For the sinks, treat with Survivors down the drain along with PT-221. My arborvites look horrible. An extension agent said I needed mitracide. I cannot find it no where. What do you have and can recommend? Go with the Bifen IT (above). If you review the label, you'll see it has mites listed (this means its a "miticide" because it will kill mites). Use it at the rate of .25 to .50 oz per gallon of water and spray the infected areas of your plants. Also, be sure the arborvitae have a clear area around their main trunk where it meets the ground. This area will commonly get cluttered with leaf litter and this debris needs to be removed or else it will suffocate the plant and "invite" mites and other pests. Once clear, be sure to spray the ground since mites will be thriving in the ground too. @Tech Support: Thank you Its ordered! Citrus leaf miner control. The problem with leaf miners seems to be taken care of after spraying twice. The bifen worked extremely well. Works great! We were told by others that this worked great to kill bugs. It does works great. It sort of clear and dries clear. We were also told that it's not harmful to children, it doesn't have any smell. I would recommend this one if you have bugs and in the south who doesn't, and two if you have children. This company has many products with honest prices and they were extremely prompt which I appreciated for my ailing conifers! I will gladly do business with them again.